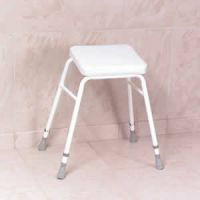 Perching stools can be used in the kitchen and/or in the dry part of the bathroom. 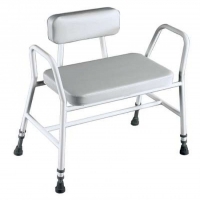 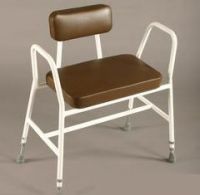 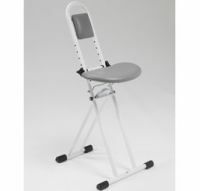 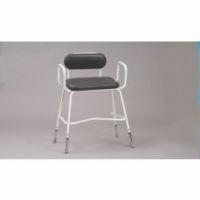 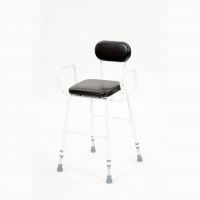 The design of the back, seat and arms determines the amount of support provided and the stability of the stool. 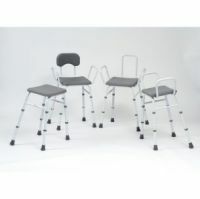 The weight capacity, the actual weight of the product and the range of height adjustment varies with different models. 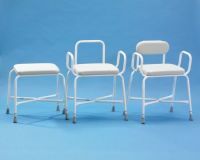 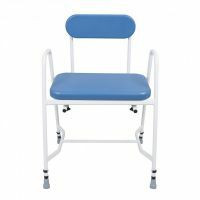 Perching stools, as their name suggests, position the user in a semi-standing position.They have a sloping angled seat and are suitable for people who can take some of their weight through their legs. 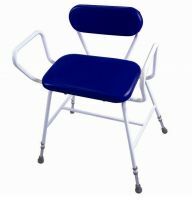 Because of this semi-standing position, less leg room is needed. 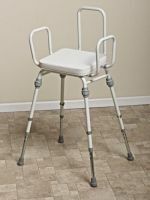 This can enable a user to get closer to wash hand basins. 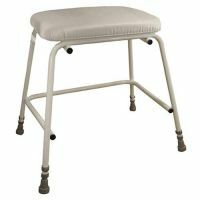 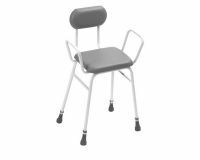 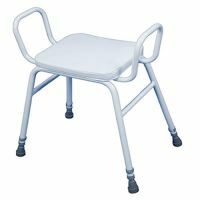 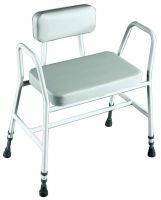 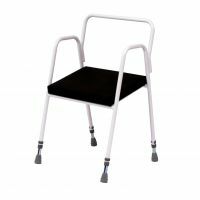 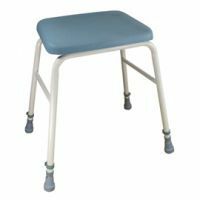 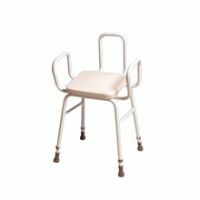 Perching stools are usually height adjustable and have a variety of support, depending on the type of backrest and armrests. 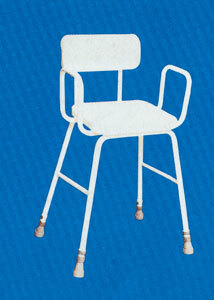 The armrests can help with getting up from sitting. 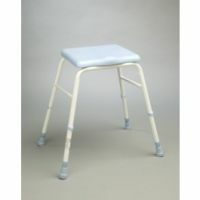 If a person has a short lower leg length, check the lowest height of the stool to ensure it is not too high. 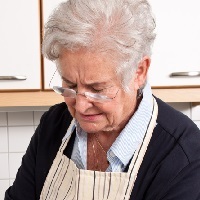 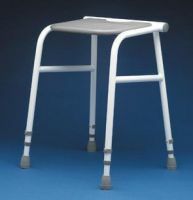 Perching stools can be very helpful in conserving energy and maintaining independence. 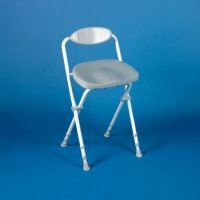 They do take up space, so storage needs to be considered if they cannot stay in situ. 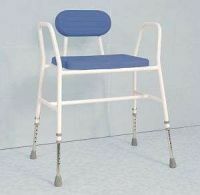 A full assessment by an occupational therapist would be advised. 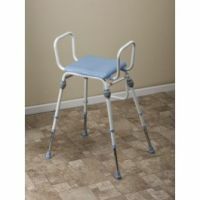 Click this link to read more on occupational therapy, including how you can obtain an assessment. 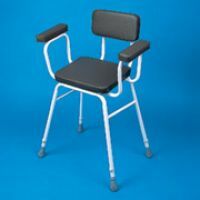 Equipment provision through local authorities and direct payments may be possible.